On Monday I posted photos of my new birdie sling bag featuring a print from Anna Maria Horner's newest line Field Study. When I first spotted the Sundial print in person I was immediately inspired and knew I needed to quilt it up. As soon as I brought this fabric home I set to cutting out my pattern pieces for the bag, and then immediately starting shopping my stash for coordinates. 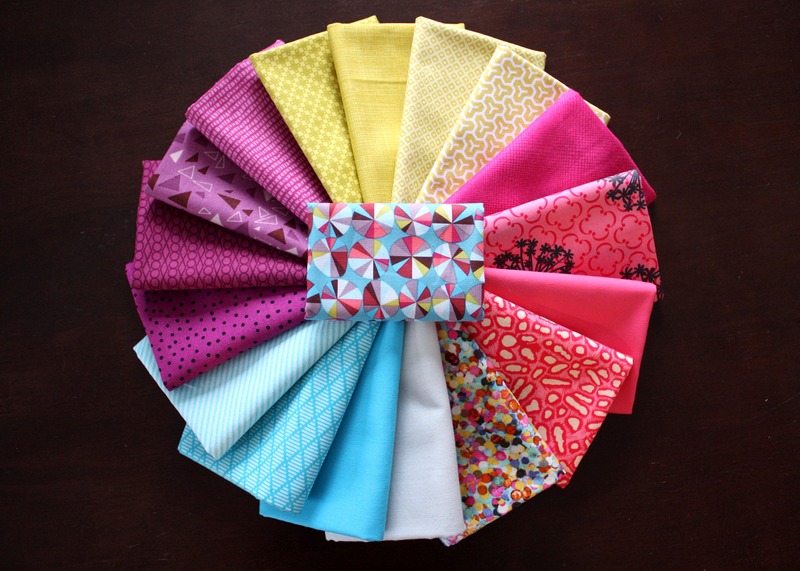 Lucky for me I had a number of great near solids in my stash because of the Stash Stack Club from Pink Castle Fabric to get me started. I followed that up with a couple stops by my favorite local quilting shops and now I'm ready to slice these beauties up. Silver by Maywood Study; Kona Solid in Peacock; Nordic Diamonds from Heaven and Helsinki by Patty Young; Diagonal Stripe in Aqua Sea by Curiosities; Dots in Magenta from Nurse Central; Purple Tufts from Outfoxed by Lizzy House; Purple from Hello Pilgrim by Lizzy House; Ladder Dot from Chicopee by Denyse Schmidt. Four Square from Hope Valley by Denyse Schmidt; Crosshatch Sketch in Citron by Timeless Treasures; Dot n' Square in Citron by Michael Miller; Honeycomb from Modern Meadow by Joel Dewberry; Gelato 11766 by Daiwabo; Pick a Bunch by Nancy Mims; Azalea Kona Solid; Guinea Hen from Farmington by Martha Negley; Fiesta by Jennifer Sampou. I'm so excited to get started! 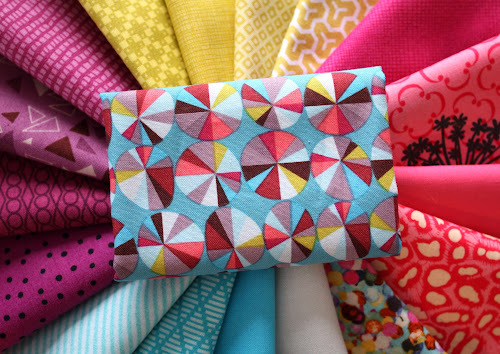 What fabrics have you been inspired by lately?